Well it is inevitable that a good video game film will be released, it’s just a shame Assassin’s Creed is not that film. The pieces were all in place to ensure a good film; a stellar cast, an up and coming director, and an inventive premise from the source material. But none of these elements come together to form any semblance of a movie, let alone a good movie. Callum Lynch (Michael Fassbender) travels back in time to 15th-century Spain through a revolutionary technology that unlocks the genetic memories contained in his DNA. There, he lives out the experiences of Aguilar de Nerha, a distant relative who's also a member of the Assassins, a secret society that fights to protect free will from the power-hungry Templar Order. Transformed by the past, Cal begins to gain the knowledge and physical skills necessary to battle the oppressive organization in the present. First and foremost, any shred of a story throughout the two-hour runtime is incredibly dull. With the unique ideas from the game series, Assassin’s Creed should be able to maintain attention for a feature length film, but it doesn’t even get close. The exposition is heavy and the only interesting scenes, in the 15th century, are somehow hindered by the present day convolution. Usually films that lack in narrative can fall back on their characters, but Assassin’s Creed doesn’t have anything that resembles characters. The performances themselves are fine but that’s largely due to the talent of the actors. Fassbender gets the action hero right with very little to work with dramatically. Every opportunity to get the ball rolling fell completely flat. Marion Cotillard and Jeremy Irons are left to brood and be mysterious over a large chunk of boring story beats. There are interesting segments of action and set pieces in the 1400s portion of the film, but that ultimately equals about a quarter of the film. That’s not nearly enough of the interesting moments to make up for the boring and complicated portions that the rest of the film brings. Even the 15th century scenes are ruined by the constant need to either use shaky cam or cut away to present day, drawing attention away from the solid fight choreography for some odd reason. 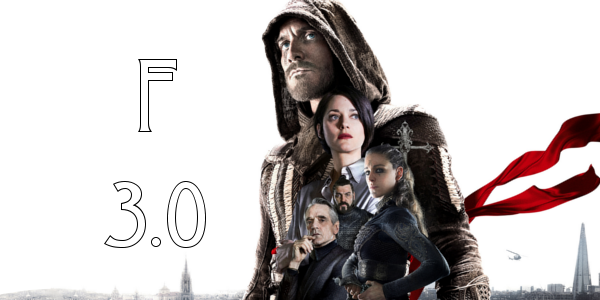 Overall, Assassin’s Creed continues the trend of awful video game movies. With such rich material to pull from, the film missed large opportunities to be something original and unique in Hollywood, but ultimately falls flat in almost everything it attempts. The performances are fine for what they are and the action, when you can see it, is actually great. But these two elements do not outweigh the overwhelming number of negatives. With Assassin’s Creed likely failing financially and critically one has to wonder, is it finally game over for video game adaptations? 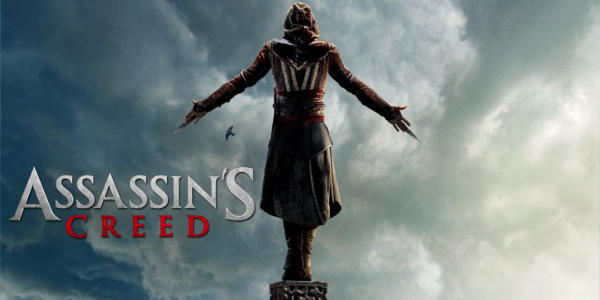 So what did you think of Assassin's Creed? Have you seen it and what's the best video game adaptation you've seen? Subscribe, share, comment below, and as always return to I Am Sam for weekly reviews and insight.